Welcome to Dancin 4 Joy where dancing is an affair of the heart! Whether you want to dance for enjoyment, exercise or stress relief come join a class and experience the joy of movement! Classes are currently offered in Salsa, Ballroom, Latin and Hustle. Click on Dance Schedule to see the current class offerings. Seen her with son Richard, Deb teaches Tango during Argentina Day at Newtown High School. Photo courtesy of Newtown Bee. 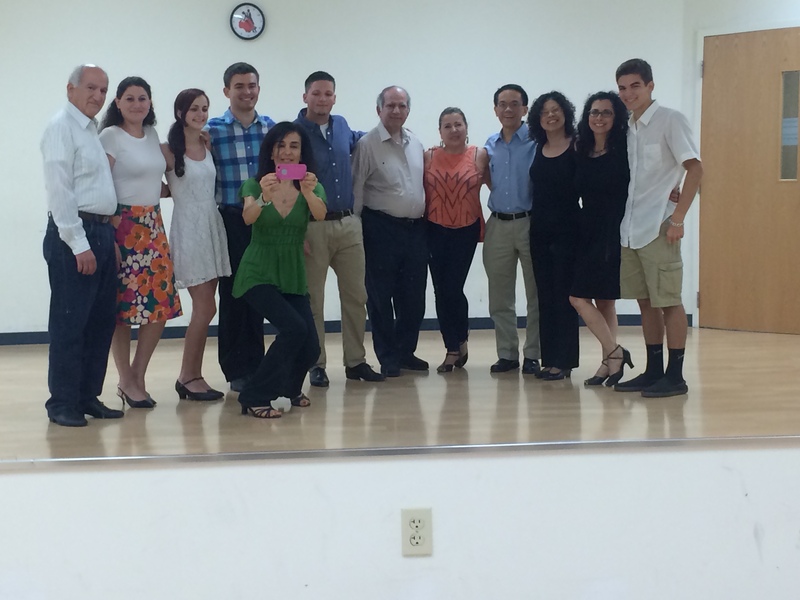 Monday Night Salsa Gears Up For Class! See Calendar for full class schedule! 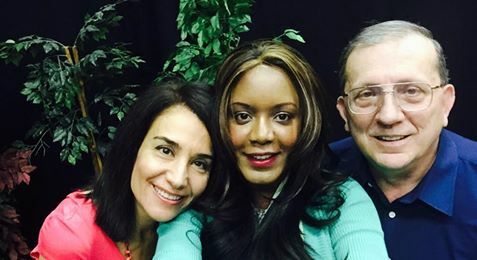 Deb & John were interviewed by Dee Harris about the power of dance on Hangin’ Out With Dee! Click here to watch the show and see their dance demo!! 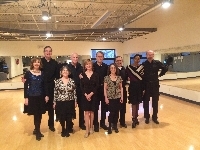 Salsa Level I Class poses for camera! Click here to see Salsa Schedule! Everyone loves a party!! 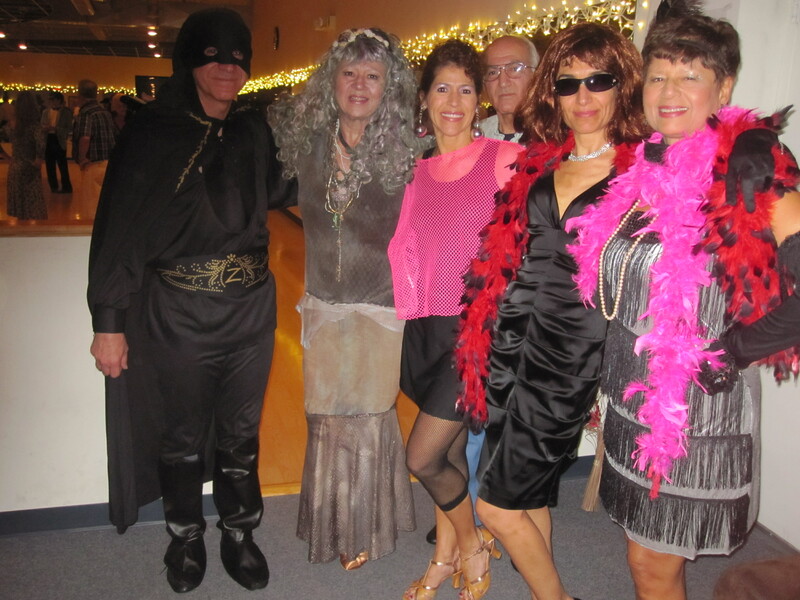 Click on Dance Gallery for pix’s of previous dance socials! Deb & Charlie dancing Salsa the full length of Newtown's Labor Day Parade to sounds of Salsa band La Yunquena. Of over a hundred participants, the judges awarded the group the prestigious rooster award for most entertaining!! Seen here dancing with her son Richard, Deb teaches Tango at Argentina Day at Newtown High School. Photo courtesy of Newtown Bee. Tuesday’s 7 – 8 p.m.
Friday’s 8 – 9 p.m.
No Partner necessary – drop-in’s welcome! New Session begins 4/7 ! Want to Learn Salsa ? Hustle Performance Troupe Video ! @ Vitti’s Dance Studio !! GIFT CERTIFICATES - GET YOURS NOW! Where To Email Your Certificate! HUSTLE Beginner/Adv Beg - Fridays 6 – 7 p.m. Intermediate Level Friday’s @ 7 p.m. Vitti’s Dance Studio in Danbury, Click Dance Schedule for more info. 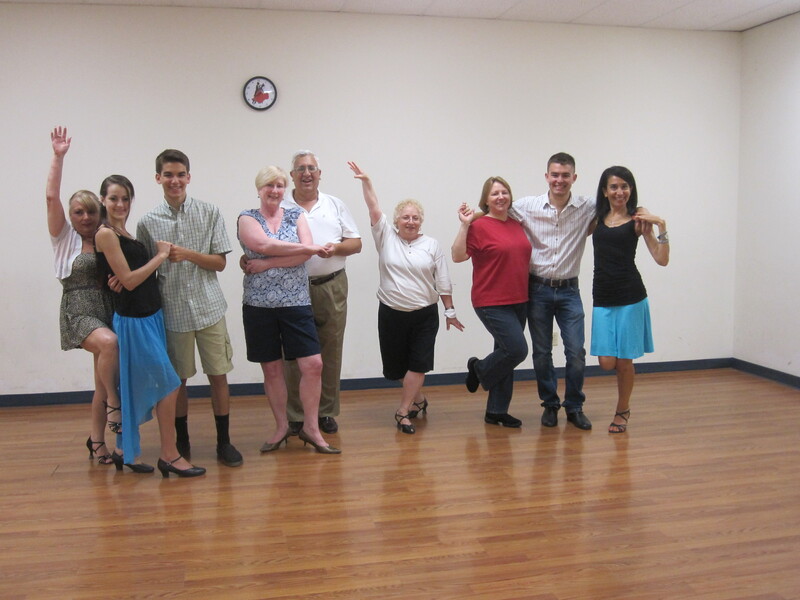 BALLROOM & LATIN SPRING SOCIAL!! Saturday April 13th @ Vitti’s Dance Studio in Danbury, Music by DJ Peter Collins! 7:00 p.m – 11:00 p.m. Singles & Couples welcome. $17 admission includes snacks, dessert, coffee & dance lesson! Click Dance Schedule for more info.